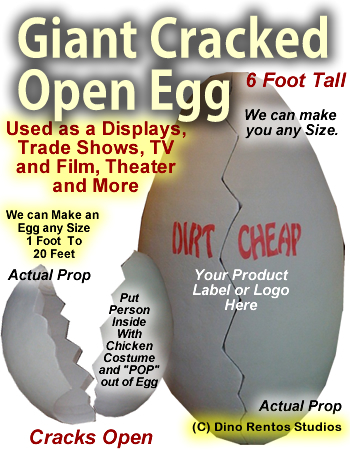 Cracked Egg Foam Prop - Dino Rentos Studios, INC. This cracked open egg foam prop is 6 feet tall. Big enough for someone to be inside. Get inside and push out to pop out of the egg!